I'm a bit late with tonight's post. 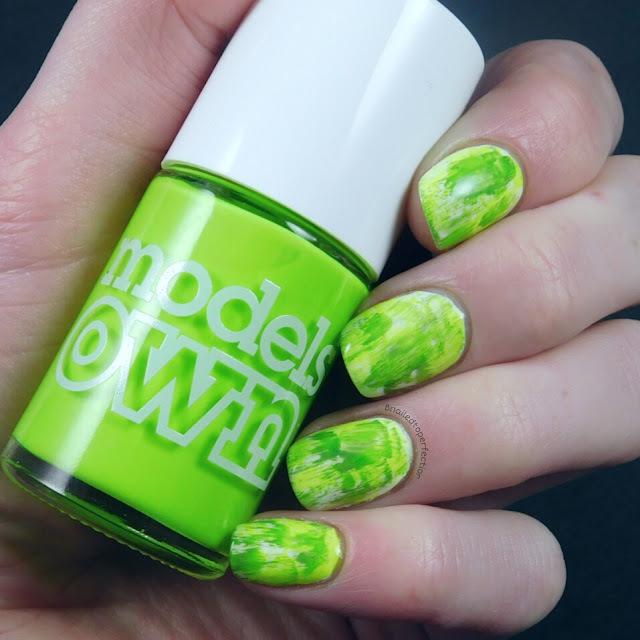 Partly because I've had a rubbish week and partly because I don't like this mani, I really am not a green fan. 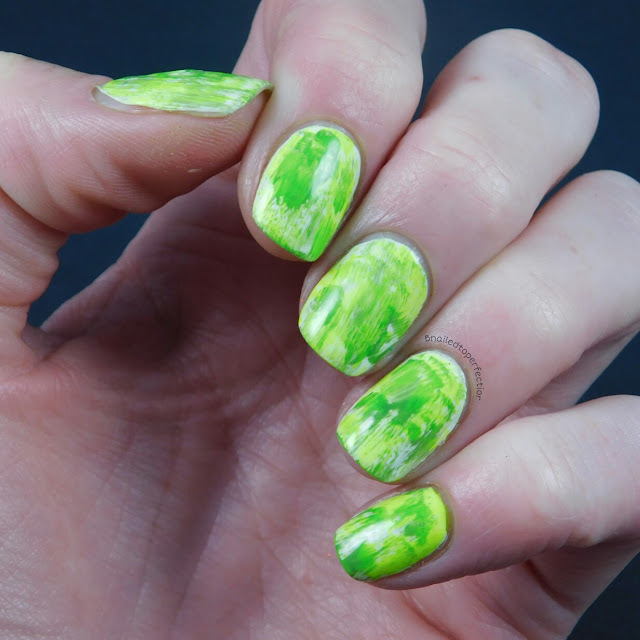 40 Great Nail Art Ideas is all about green this week and I had brush Stoke as my pattern. Also, as I've come to write this post I've realised there was a typo on my schedule and I had this weeks theme as just green, but turns out it's 3 shades of green! Oh well, it was doomed from the start anyway lol. I used two coats of Limitless from Cassella as my base. Then I used OPI I'm soo swamped! and Flip Flop from Model's Own. I applied these using the dry brush technique. 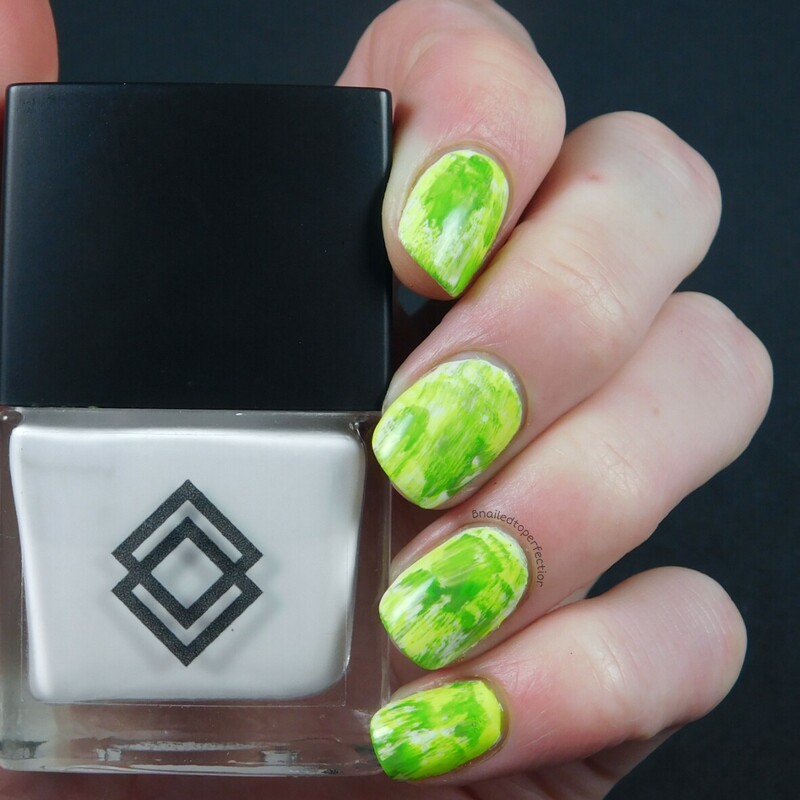 So what do you think of today's mani? Are you a green fan?